Last year I added Mia's name to join a Football club in a town near us. I paid for the whole term thinking she would really like it because she had a huge interest with football and she was pretty good at kicking and throwing a ball too, as well as running really fast for her age. We got really excited, she was even excited but when we arrived she was petrified. I was a little disappointed that none of the coaches came up to her and encourage her to join in. Instead they were just interested in getting everybody's names down. Mia cried, screamed and was just stuck on me. She wouldn't move. So we decided to leave and tried her out again the following week. But nope, she still didn't like it so we just never took her again. 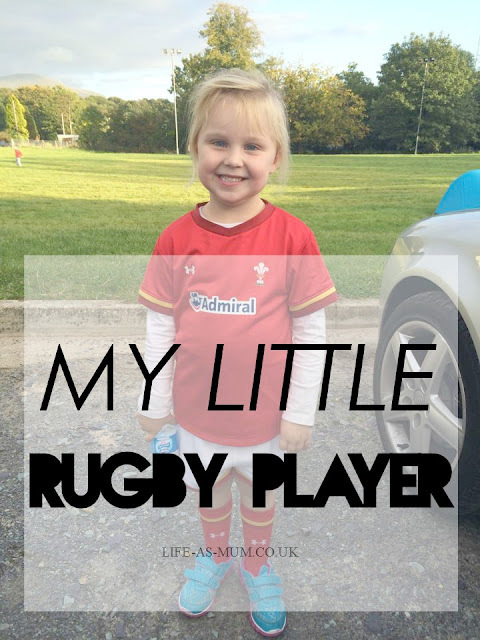 About a month ago, her Dad registered her name to start rugby training. She was super excited. 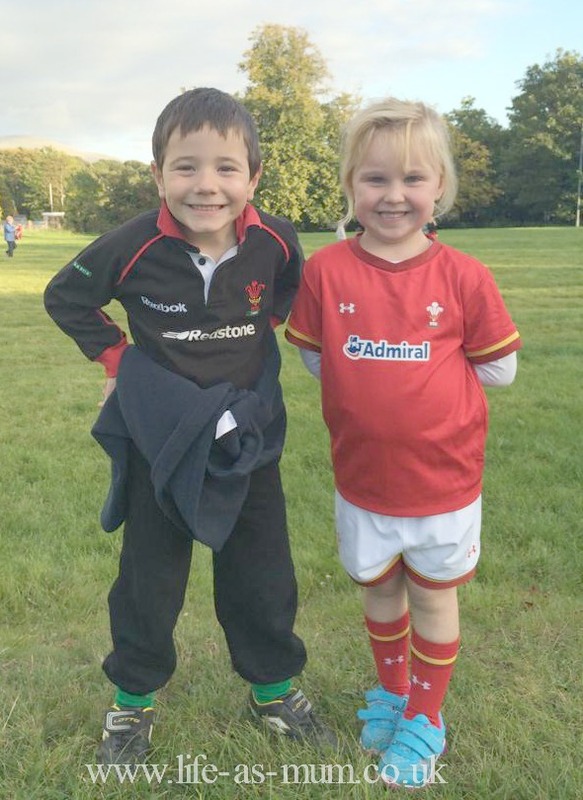 Her Dad plays rugby and she goes to watch him when she is at his at the weekends. But also her favourite cousin on her Dad's side also plays rugby and she really looks up to him. In the first week Mia couldn't wait to start rugby training. She was super excited. Every single day she wouldn't stop talking about it to me, my partner, the family and friends at school. Friday evening came, her Dad took her and me and my partner followed after. I was really nervous as I thought maybe she would be too shy and maybe reacted the same as she did last year with football but she didn't. When my partner and I arrived at the rugby club she was already out in the field training with all the other children. The smile on her face was priceless. Mia was jumping about, talking and getting herself involved with all the other children and that was when I knew she was 100% confident and fully enjoying herself. Ever since that first week of training she has loved it. She really does have a big interest in rugby and I hope she goes all the way to the end. I have always wanted her to be involved in something like that and I am soon to register her into gymnastics which is every Tuesday in our village so I really hope she will enjoy that just as much as rugby! Fantastic. I am so pleased she has found something she really enjoys. It is so good for children to get involved in something and she looks so pleased in that photo.